Different groups are acting together to develop a harmonized approach to nutrition advocacy, communication and social mobilization in Kenya. 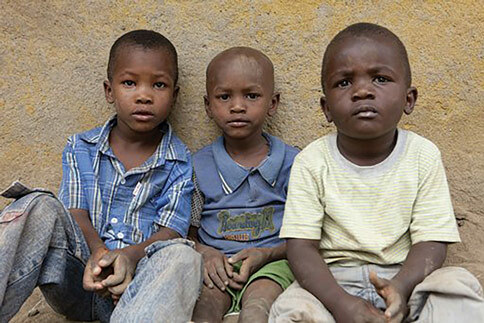 Kenya’s journey began in earnest when it signed up to the Scaling Up Nutrition (SUN) Movement in August 2012. An official launch was organized in November 2012 through the convening of a national symposium on SUN under the then Minister of Public Health (MoPH). 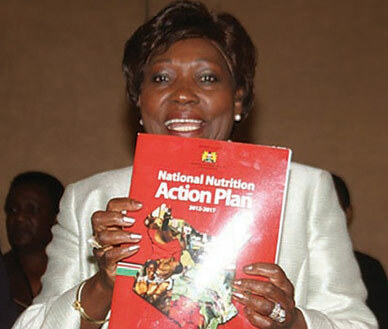 The Natonal Nutriton Action Plan was launched and a SUN Government Focal Point was appointed. These concrete steps have helped to accelerate SUN advocacy while government representatives, regional and county health management teams, different sectors, funding and implementing partners have joined forces to support the nutrition agenda. Each taskforce was formed with a specific purpose and function in mind. The Lancet series has proved valuable in providing the requisite evidence base to link nutrition and health, and to inform the advocacy focus in country. The National Nutrition Action Plan is the central advocacy tool for the NACC with its dissemination ensuring further profiling for nutrition while an advocacy, communication and social mobilisation strategy will provide the framework for implementation of activities. Multimedia messaging is proving an important and effective tool for securing the required attention from relevant stakeholders. The Nutrition Interagency Coordination Committee (NICC) serves as the multi-sector coordination body at national level, with active participation from civil society. The Nutrition Technical Forum previously served as the civil society network (CSN), active at national level and being rolled out to counties. Efforts to expand the network to include other nutrition sensitive actors led to a realigning and revamping of the CSN in November 2013. The new civil society alliance (CSA) was formally launched in May 2014 with current members spanning non-governmental organisations (NGOs), human rights bodies, consumer organizations, women youth and gender organizations and development organizations. Advocacy, communication and social mobilization (ACSM), has played a key role in achieving government commitments, establishing coordination structures and SU networks as well as in advancing the ongoing nutrition work in the country. In the past, advocacy and communication within the nutrition sector has been undertaken on an ad hoc basis and for specific programmes although there are plans to have a harmonized advocacy, communication and social mobilization strategy. An ACSM strategy has been drafted by the NACC and is in the process of being reviewed by all stakeholders. The National Nutrition Action Plan has been used as the main tool for nutrition advocacy and resource mobilization. Review implementation of advocacy and communication strategies/mechanisms to ensure integration of nutrition within nutrition sensitive sectors (education, agriculture, child services etc.) at national and county levels. Advocate for financing ASCM activities. An ACSM strategy has been developed and is in draft form. February 2014. This updated evidence has been useful for developing multimedia messaging which will be used as an advocacy tool with a focus on stunting. There have also been achievements in building nutrition structures in Kenya. A high level SUN multi-stakeholder and multi-sector platform is being formed to complement the NICC. SUN Networks are being established and re-aligned and a SUN CSA has been established which will have a strong focus on support for ACSM. In addition, there have been extensive consultations with regard to identifying a high level champion for SUN. Development Plans (CIDPs) while there has been follow up to ensure that nutrition is well articulated in the national Health Policy. Social mobilization and behaviour change and communication activities include dissemination of infant and young child feeding materials at national and county levels. In addition, a national iron and folic acid supplementation communication strategy, vitamin A supplementation communication strategy, maternal infant and young child nutrition strategy, and food fortification strategy have been developed. Nutrition stakeholders continue to use existing structures including national health days/weeks such as ‘malezi bora’ (good nurturing) weeks, world breastfeeding week, world diabetes day as platforms for nutrition advocacy and social mobilization. The challenges ahead include limited prioritization of nutrition in political and economic agendas leading to very limited budget allocations for nutrition. The approach to ACSM is ad hoc and not systematic while the ACSM strategy is still not finalized and in place. In addition, financing support for the ACSM is low. 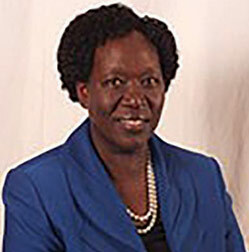 For example, TV spots and radio messages have been developed under the food fortification programme but have not been aired regularly owing to funding constraints. There is limited capacity of ACSM expertise in the nutrition sector. Strong advocacy, communication and social mobilization is key to Scaling Up Nutrition. Development of a national ACSM strategy should involve all relevant stakeholders at planning, development and dissemination stages to ensure proper representation. Collective responsibility in advocating for nutrition is required within and across networks. No one sector or network can do it alone. All stakeholders in SUN need to agree on the advocacy messages to be passed to the public to avoid conflicting information.